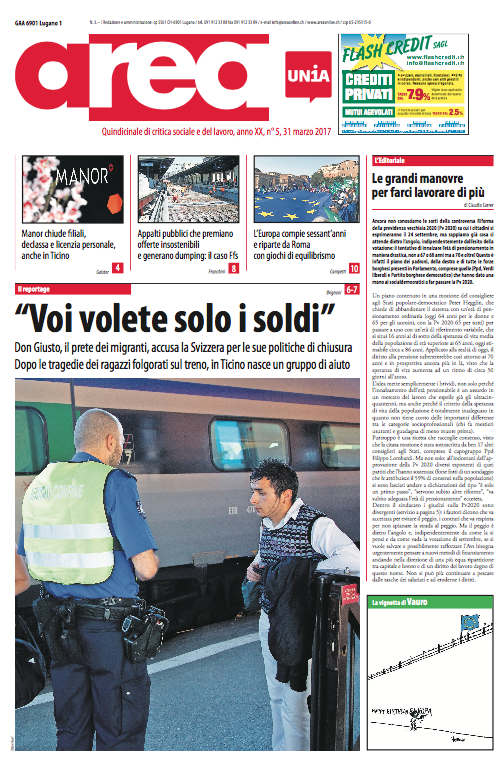 On the latest issue (March 31, 2017) of Area, you can look at my picture on border control in Chiasso, Switzerland. Area. No 5. Page 1. March 31, 2017. 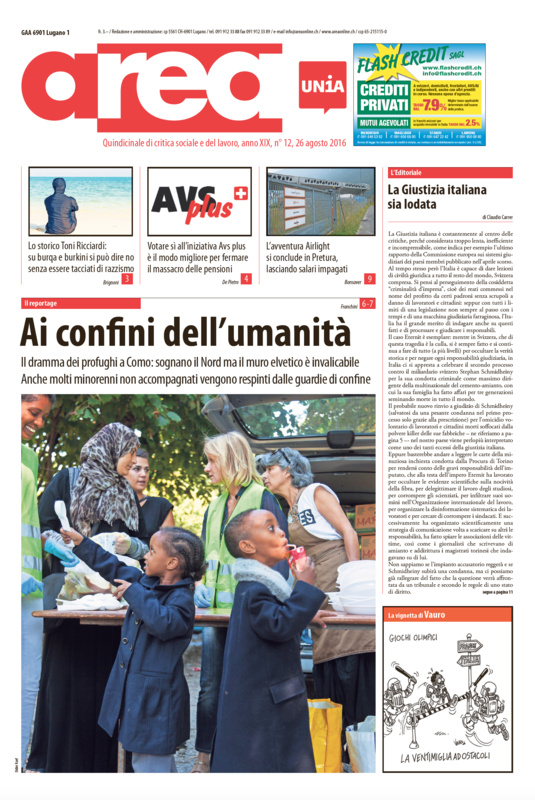 On the latest issue (December 23, 2016) of Area, you can look at my picture on African migrants in Como. Area. No 20. Page 1. December 23, 2016. More pictures on the website didierruef.com. 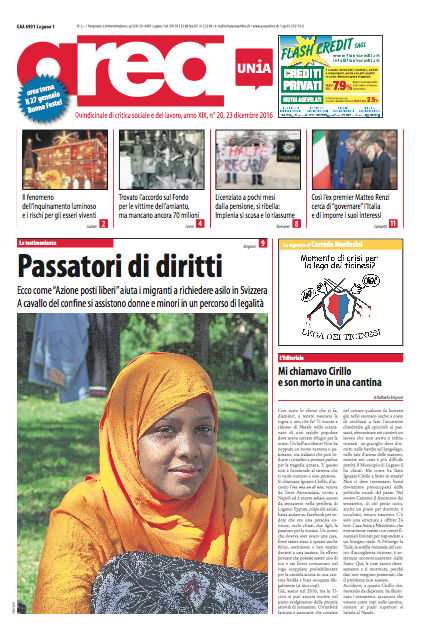 On the latest issue (August 26, 2016) of Area, you can look at my picture on African migrants in Como. 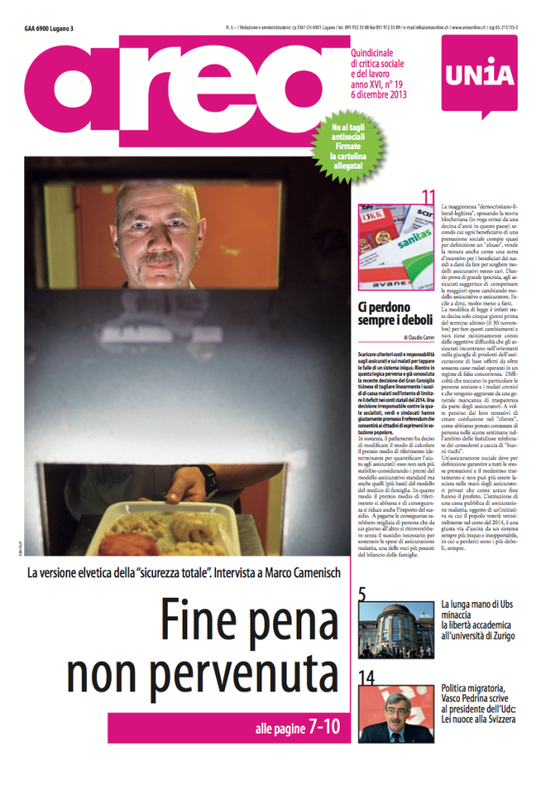 On the latest issue of the weekly newspaper Area, you can find the cover page with my picture from the prison warder Mr. Lütt who brings a food’s plate to a prisoner in Bern’s jail, Switzerland.